Schiermonnikoog National Park is a national park in the Dutch province of Friesland. It is founded in 1989. It covers about 72 km², the majority of the island Schiermonnikoog. The island arose during the last glacial period and its shape has been very variable since then. Dominant processes are sand drifting, erosion and sedimentation along the coasts, characteristic for a tidal landscape. In former times, only few people lived on the island, most fishermen. Around 1900, the state started forestry programs to prevent sand drifting. In addition dikes were built to protect the island and its population. Some of the marshes were embanked in the course of time and transformed to polders for agriculture. During the 20th century tourism and recreation became more important and part of the island was designated as nature reserve. At present, we find dunes, forests, polders, tidal flats, marshes and beaches on the island, as well as a small lake and a village. Here's the our members favorite photos of "National Parks in Netherlands". 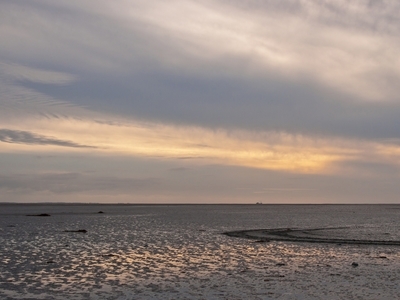 Upload your photo of Schiermonnikoog National Park!